As many people now know, BioPerformance, Inc. was ordered to shut down its operations. Its assets were frozen, pending resolution of the lawsuit filed by Texas Attorney General Greg Abbott. "Abbott, who filed his lawsuit in Bexar County because BioPerformance had held sales seminars in San Antonio, hired a University of Texas at Austin mechanical engineering professor to test the product claims. Abbott said numerous complaints about BioPerformance had come to the attention of his office. The professor, Ronald Matthews, said in an interview that as soon as he analyzed the chemical makeup of the product, it was clear that any claims of improved fuel efficiency or lower emissions were false. "The findings were pretty straightforward," Matthews said. "The main chemical was naphthalene, and it does nothing for fuel economy." 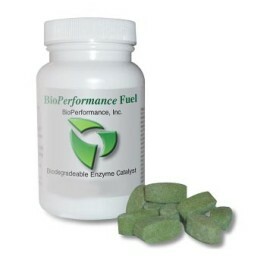 According to BioPerformance's Web site, the additive is nontoxic. However, the Environmental Protection Agency says exposure to naphthalene can result in serious health problems. Short-term exposure, which includes inhalation, ingestion and skin contact, can cause anemia, liver damage and neurological damage, according to the EPA. Long-term exposure has been reported to cause cataracts and retina damage." "BioPerformance's Web site remained active Wednesday afternoon despite an order by state District Judge Andy Mireles that all of the company's business activities be shut down." "Abbott said that if the owners are found to have violated state deceptive-trade laws, they would face fines of up to $20,000 for each violation. And he urged consumers to be skeptical of any money-saving venture that sounds too good to be true." May 11, 2006: BioPerformance Scam Revealed? May 17, 2006: BioPerformance Scam Shut Down! Network Neutrality - Keep the Internet Free!!! Spam, Spam and More Spam... Those Bastards!